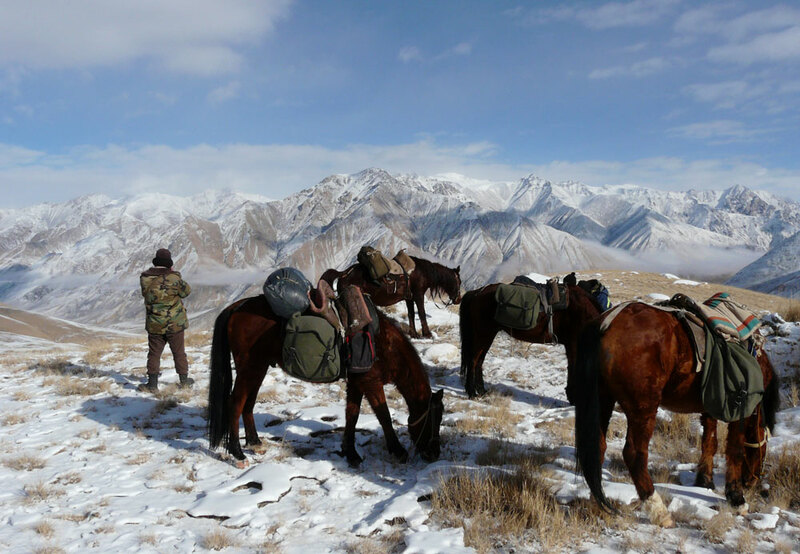 The Ranger Rewards Program aims to both recognize and empower Kyrgyz wildlife rangers for their difficult, sometimes, dangerous job. Photo: Snow Leopard Trust. 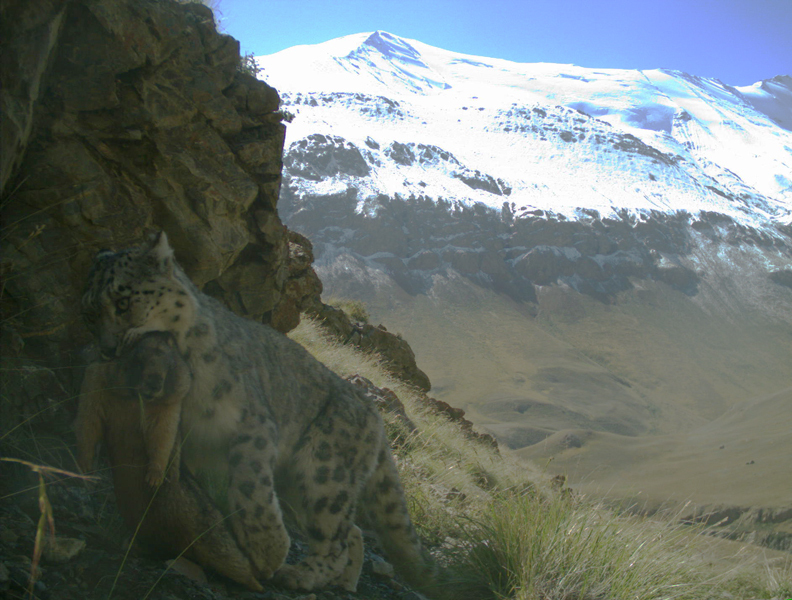 A total of ten Kyrgyz wildlife rangers have received a Citizen Ranger Wildlife Award for their courage in the fight against illegal hunting in the country’s snow leopard habitat in 2015. They were publicly honored in a ceremony in Bishkek today, on World Wildlife Day. Chinasilov Baktibek, a regional wildlife inspector, received an award for his role in bringing to justice a poacher who had illegally hunted and killed a brown bear and an ibex in Sary-Chelek reserve. The poacher he captured with the help of two colleagues has been sentenced to pay a $12,000 fine. 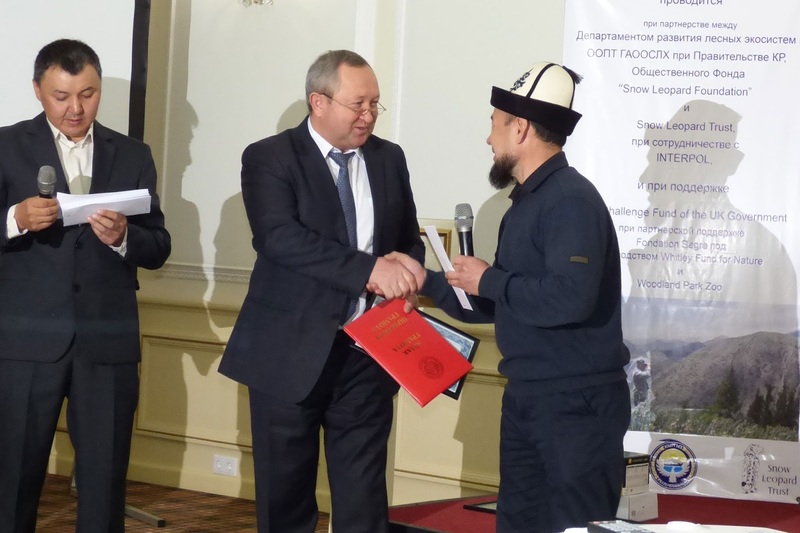 Another award was given to Abdykarimov Urustamaly Hamdamalievich, a ranger working with the Department of Rational Use of Natural Resources. He stopped and apprehended a group of poachers in Surma-Tash reserve after they had killed two pregnant ibex. The poachers have since paid a fine of $3,000. The award winners posed for a group shot after the ceremony. Photo: Snow Leopard Trust. 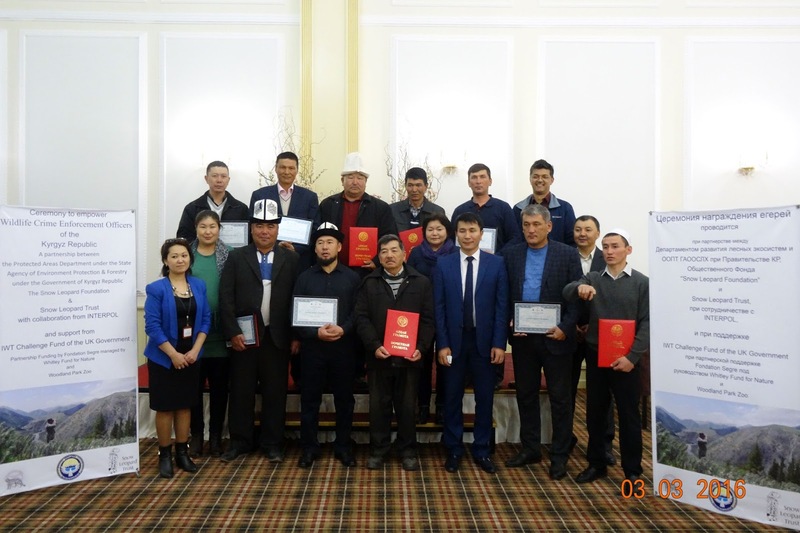 The award ceremony was presided over by Mr. Sabir Atadjanov, the Director of the State Agency of Environment Protection and Forestry of the Kyrgyz Republic, who presented the awards. Other senior officials in attendance included Mr. Kumar Kambetaliev of the Department Rational Use of Natural Resources, and Ms. Aigul Turdumatova, of the Department of Protected Areas. Mr. Atajdanov personally thanked each of the rangers as he presented them with their awards and official certificates. Photo: Snow Leopard Trust. The event also attracted representatives of various local and international conservation organizations, as well as a contingent of media professionals. 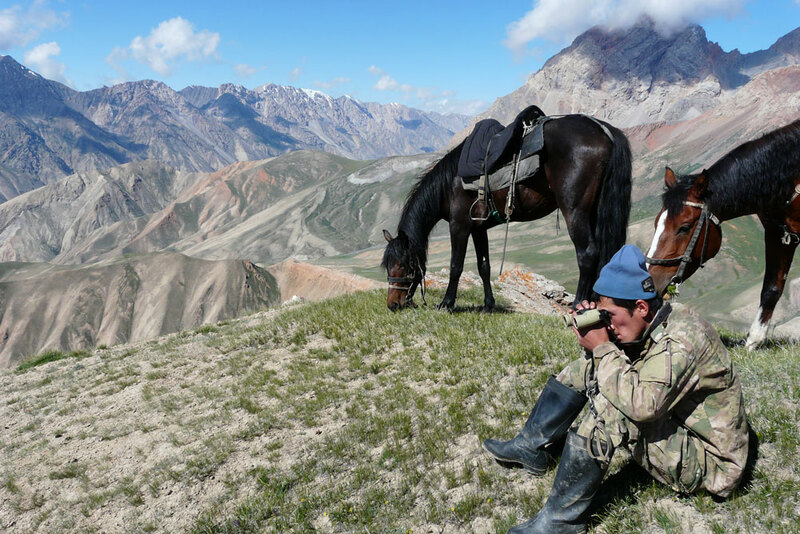 Kyrgyzstan’s rangers normally work far from the spotlight, in the country’s most remote mountain areas. Photo: Snow Leopard Trust. The Citizen Ranger Wildlife Award is the result of innovative program designed to empower those on the front lines of the fight against poaching and illegal hunting. 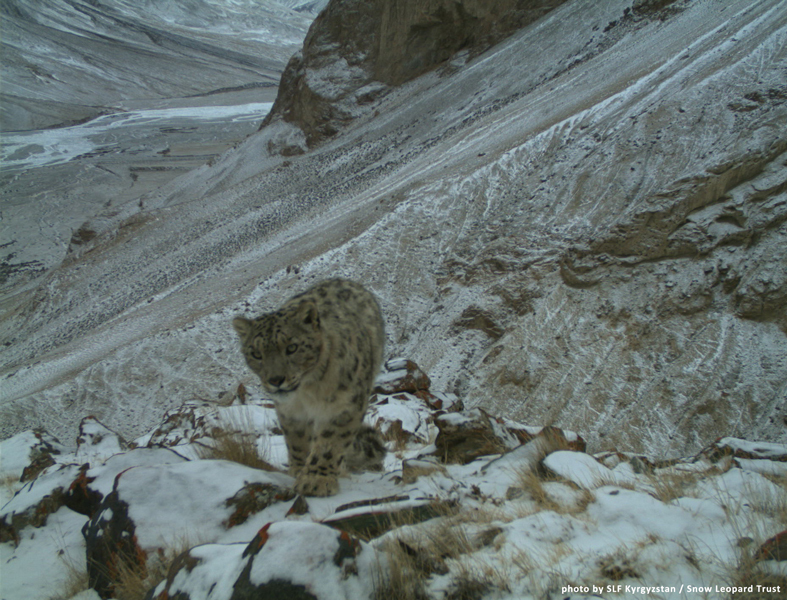 A remote camera snaps an image of a snow leopard on the move. Photo: Snow Leopard Trust. 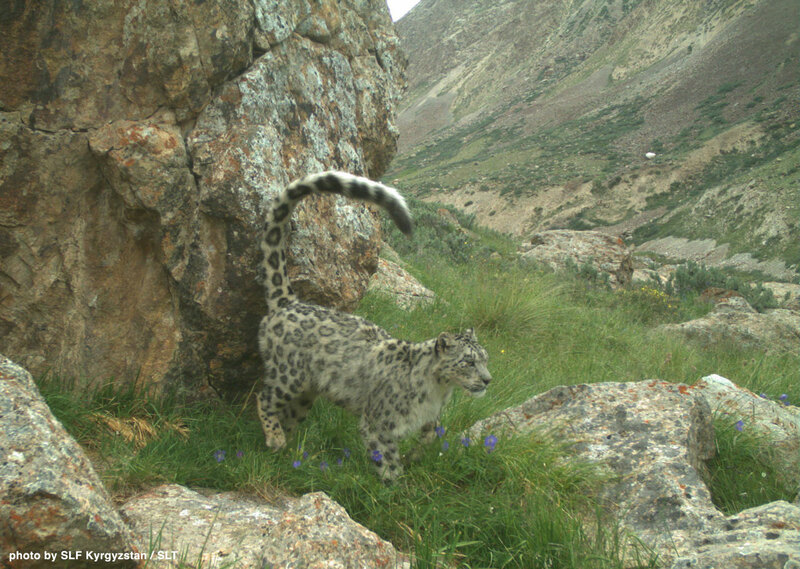 The Citizen Ranger Wildlife Rewards program was piloted in 2014 in partnership between the State Agency of Environment Protection and Forestry of the Kyrgyz Republic, Snow Leopard Foundation Kyrgyzstan, and Snow Leopard Trust, with WFN Partnership Funding by Fondation Segré (managed by the Whitley Fund for Nature), and Woodland Park Zoo. The elusive snow leopard. Photo: Snow Leopard Trust. The program provides public recognition and financial award for those rangers and private citizens who successfully apprehend poachers and help bring them to justice. It has since been expanded nationally to cover all of Kyrgyzstan’s Protected Areas, thanks to a grant from IWT Challenge Fund through the UK Government. IWT Challenge Fund is also supporting law enforcement training for rangers in all protected areas of Kyrgyzstan, which are being led by INTERPOL. 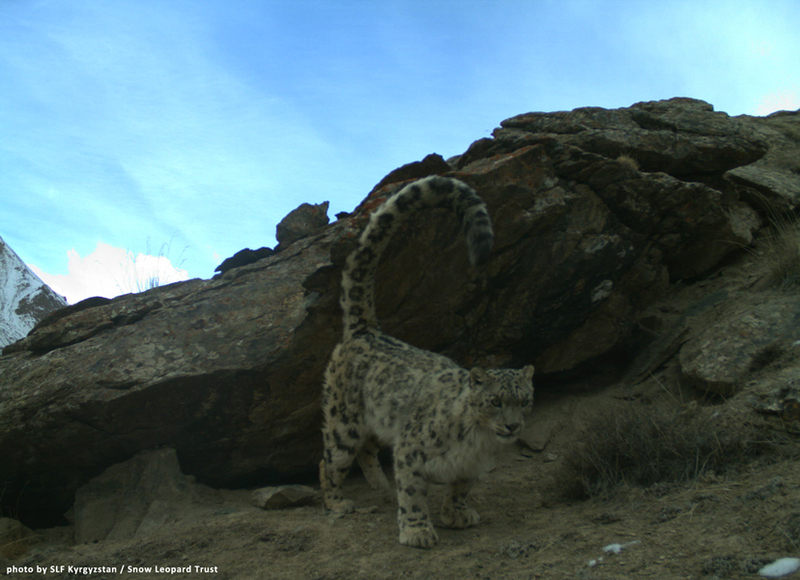 Kyrgyzstan’s snow leopards and their wild prey species are threatened by illegal hunting. Wildlife rangers are on the frontline of the fight to protect them. Photo: Snow Leopard Trust. “With these awards, we are giving these anti-poaching heroes some well-deserved recognition. We’re also showing the public what an outstanding job all our brave rangers are doing every day,” says Sabir Atadjanov. A snow leopard in Kyrgyzstan. Photo: Snow Leopard Trust. Citizen Ranger Awards were presented by Mr. Atadjanov to Chiniev Juman, Chinasilov Baktibek, Abdykarimov Urustamaly Hamdamalievich, Malabaev Daniyar Atamirzaevich, Tashtanov Nurbolot Kazatbekovich, Aibashev Abdibap Pakirovich, Talipov Kumar Kaseyinovich, Akmatov Jilrgalbek Jumalievich, Mukambetov Kanat Turarovich, and Savdanbekov Shamil Tokonovich.